So I set out to make some banket. This is my first try, and there will be many more tries, eventually I’ll be as good as grandma! So first, the night before, i made the dough. 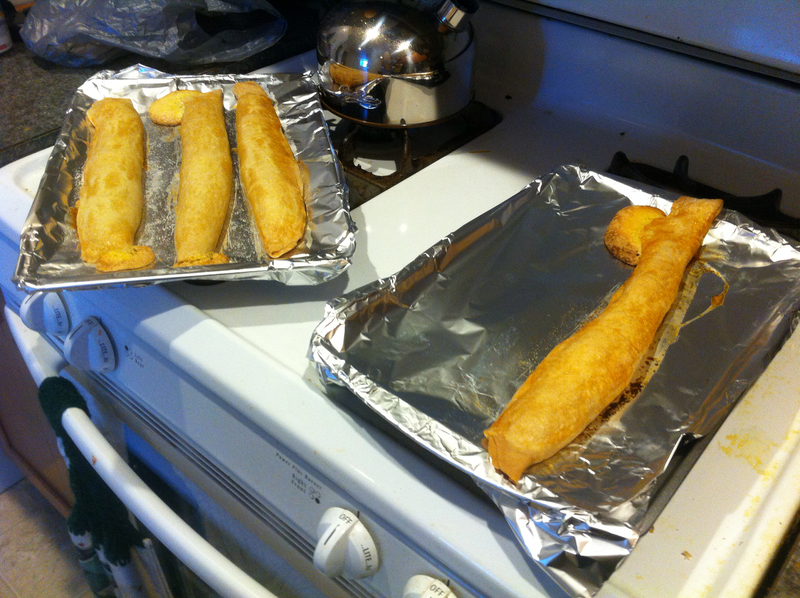 I actually halved the entire recipe because I don’t need 8 sticks…4 is fine! 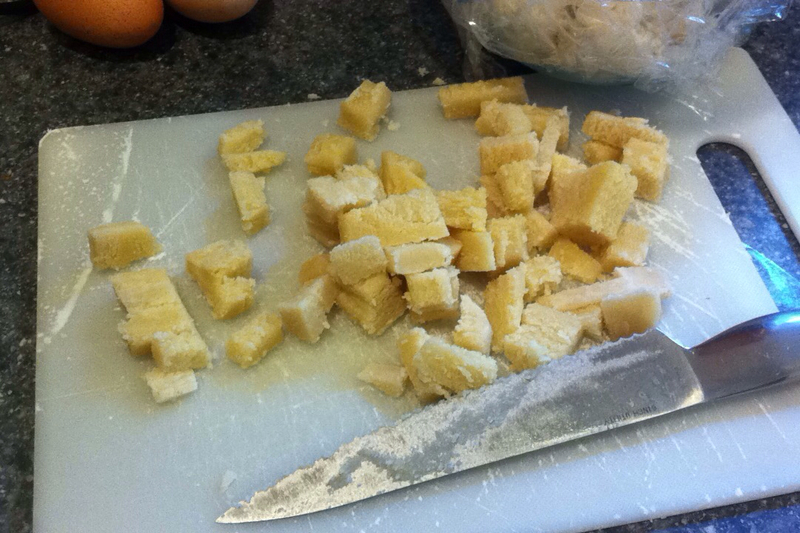 Cut butter & oleo into dry ingredients as for pie crust. Add ice water gradually. Chill at least an hour. I usually do it longer. It will keep for a week or longer in the frig. So i started out with 2 cups of flour, 1 stick of actual butter and 1 stick of margarine, (why is butter 4-5$$ a pound and margarine .75 a pound?! This is crazy! 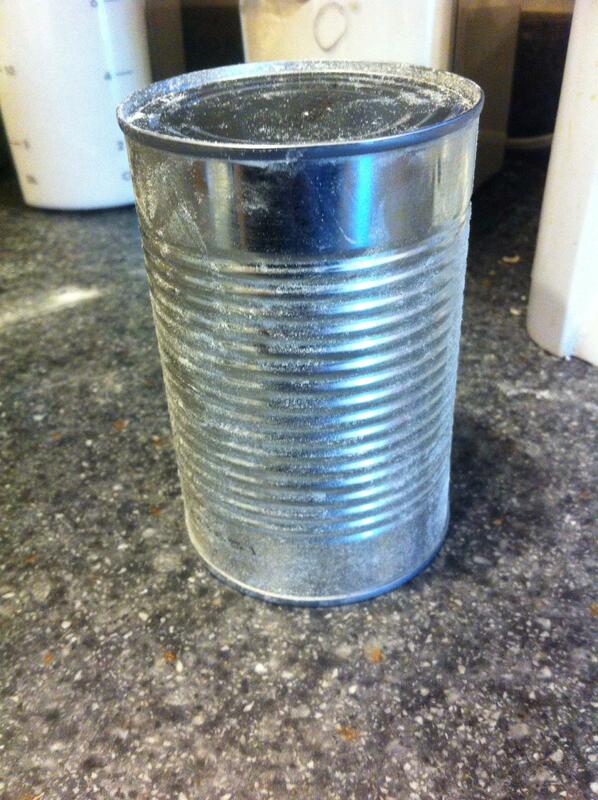 ), 1/2 tsp salt, 1/3 cup water with ice, then when the ice melted i poured it back to 1/3 c, and 1/4 tsp baking powder. 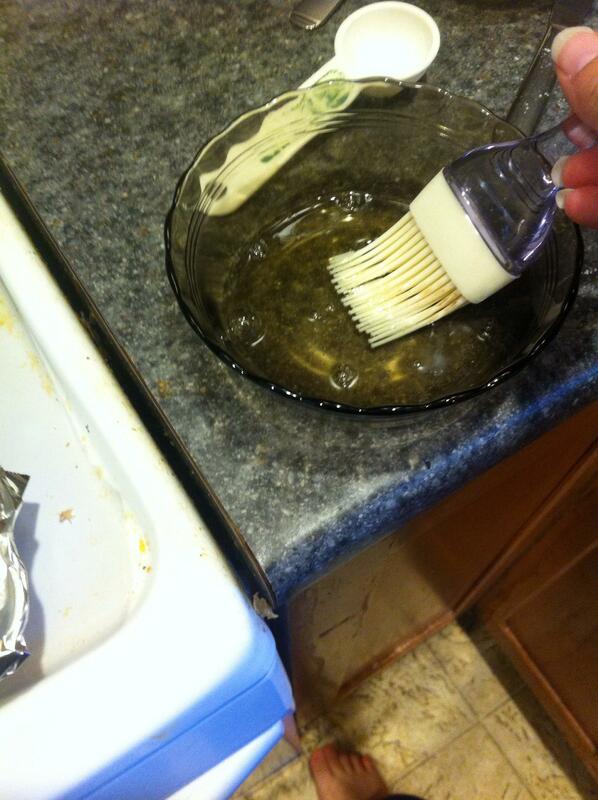 I started by using two forks to cut the butters into the dry ingredients. But that took too long so i eventually washed my hands and dug one of them in there to mash it all up good and proper. Then added ice water until it was incorporated. Put it in a bowl, covered with cling wrap, and put it in the fridge till mid-day on Weds. 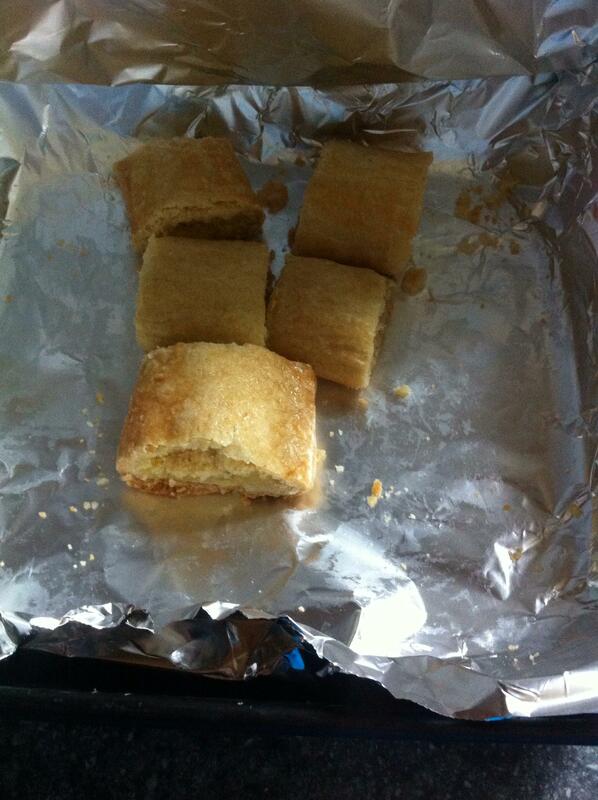 I cut up the almond paste into tiny pieces – they were delicious, don’t eat them all! 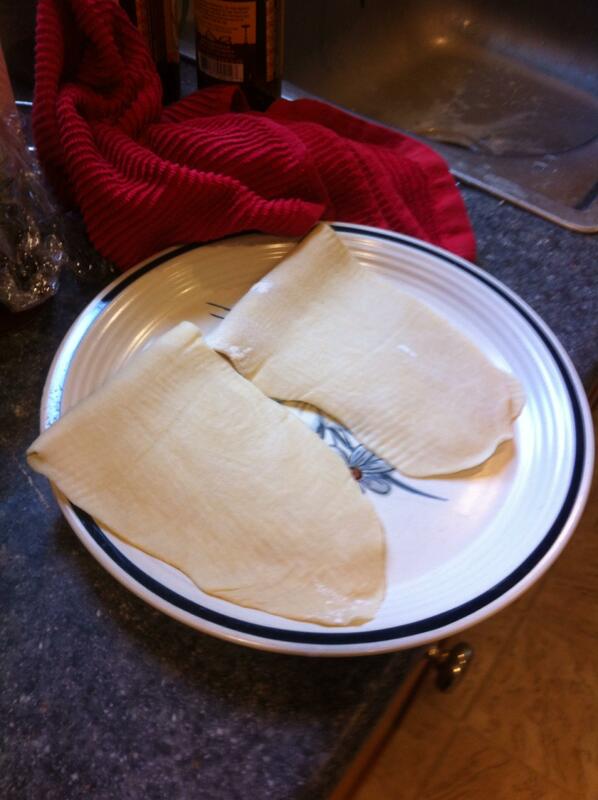 Grab the dough, separate it into 4 pieces, and roll them out. As i don’t have a rolling pin, i used a can of corn (took the wrapper off and cleaned it off first with dish soap and water). Roll them out into pieces that are long and skinnyish if you can. Grandma says to have them 6″x14″. 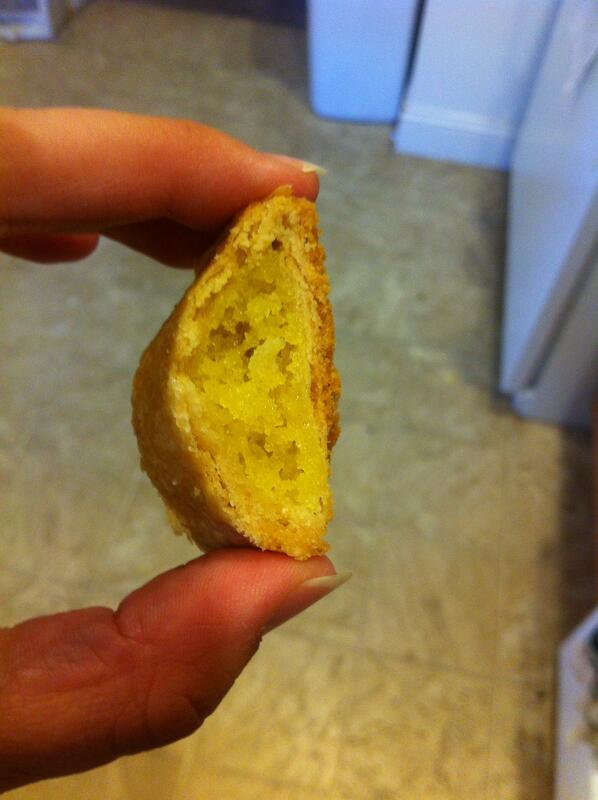 I rolled them out on floured cheese cloth, grandma said to use floured pastry cloth – and thats the closest I have. Lay the dough on the counter and fill with almond mixture. You’re supposed to be able to roll the filling into a rope, but mine was too runny (egg!) so i just spooned it in there. Do this for all 4. 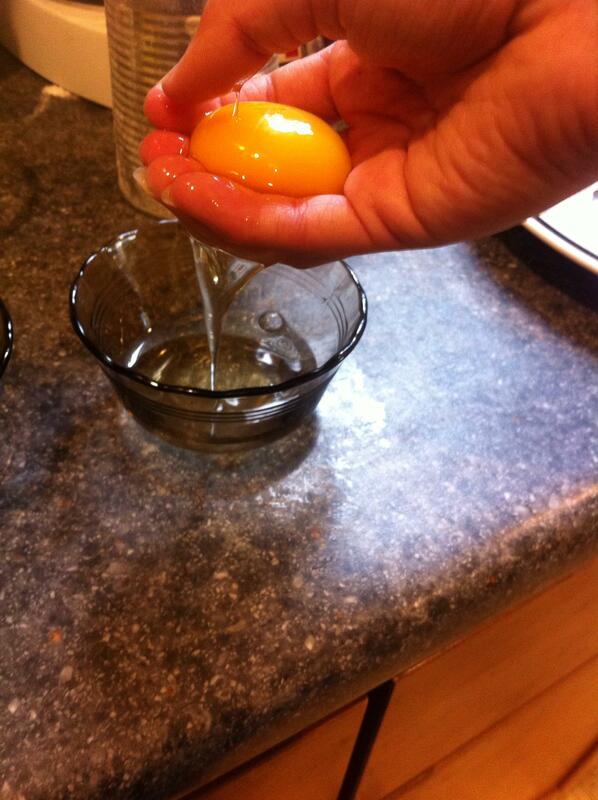 Seperate an egg by hand because you don’t own an egg seperator. Complain loudly about how nasty it feels – but the yolk didn’t break so yay!. put the yolk in the garbage disposal. Mix up the egg white a bit and then grab a brush and put it on top of the banket logs. Bake at 350*F for 25-30 min. 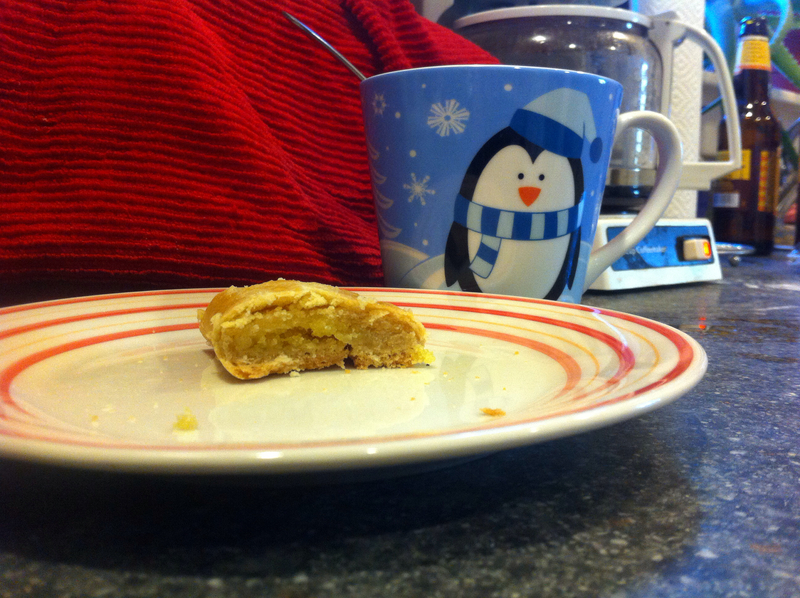 Whatever is left after makers = breakfast the next day. 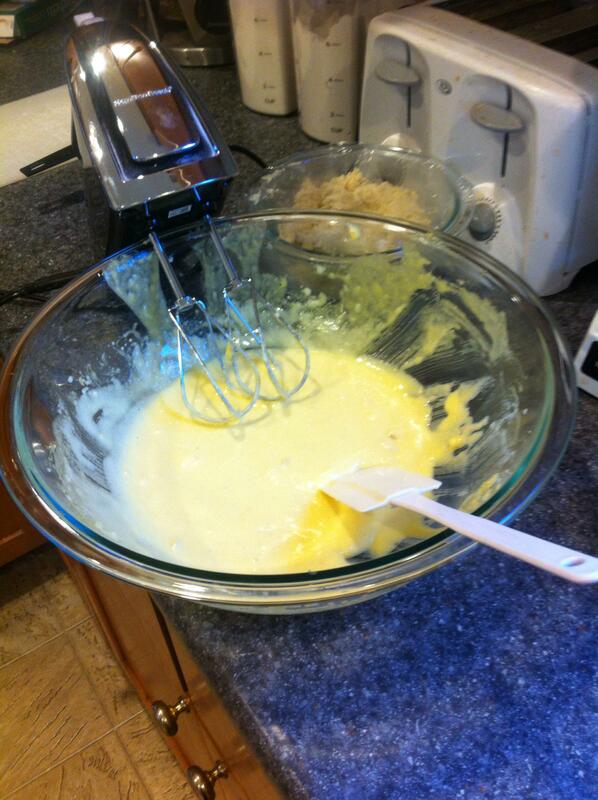 Cut up the almond paste in small pieces then mix the almond paste with the eggs first with the mixer. Then I add the sugar slowly. Doing it this way seems to blend better. Chill this also. 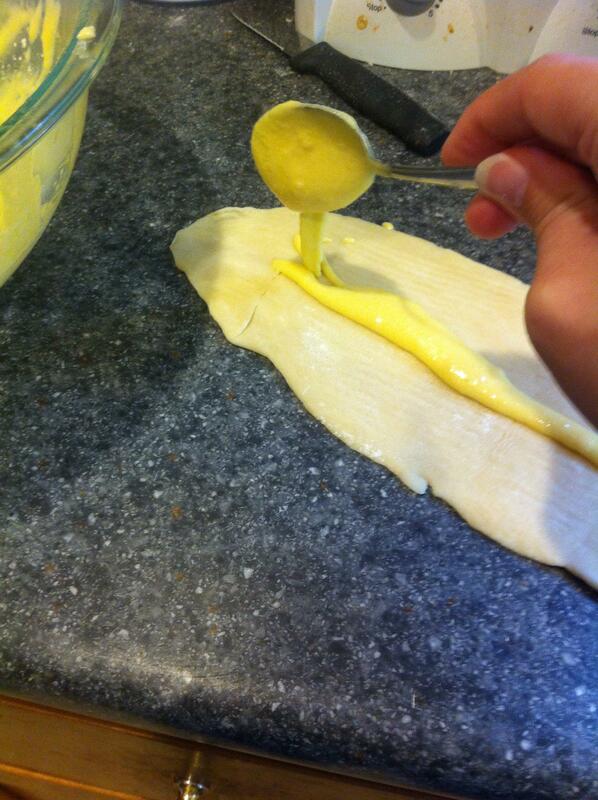 When ready to assemble, cut the pastry into 8 equal parts. 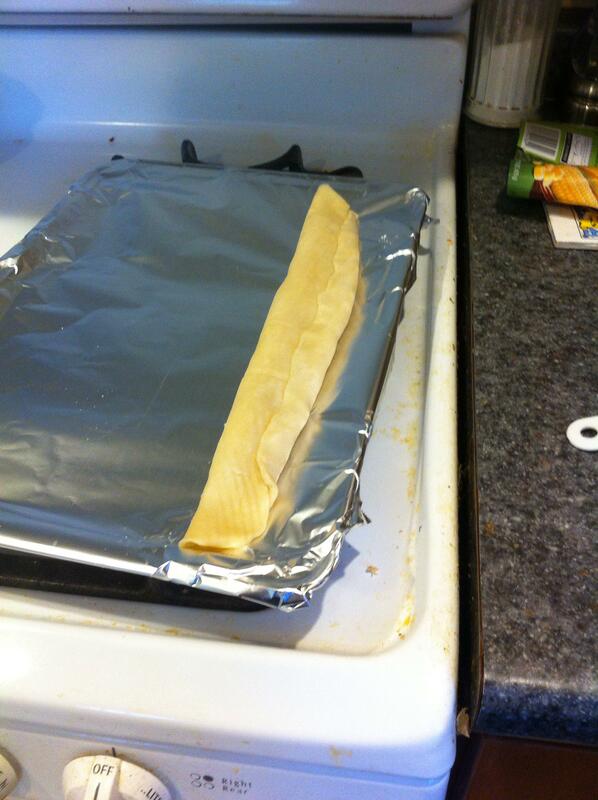 Roll it out in a rectangle shape on a floured pastry cloth (about 6″x14″) Cut the filling into 8 equal parts also. 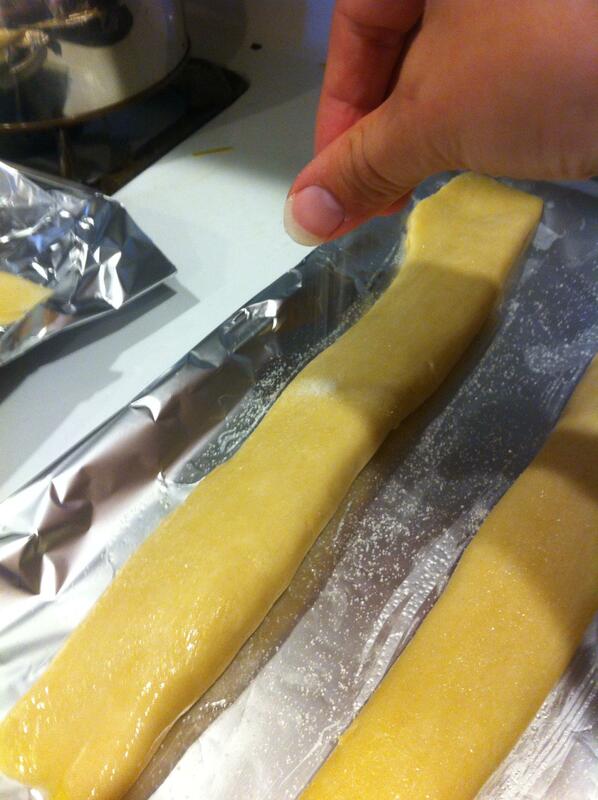 Roll into a rope and put along one edge of the long side of the dough. Roll up folding in the ends. 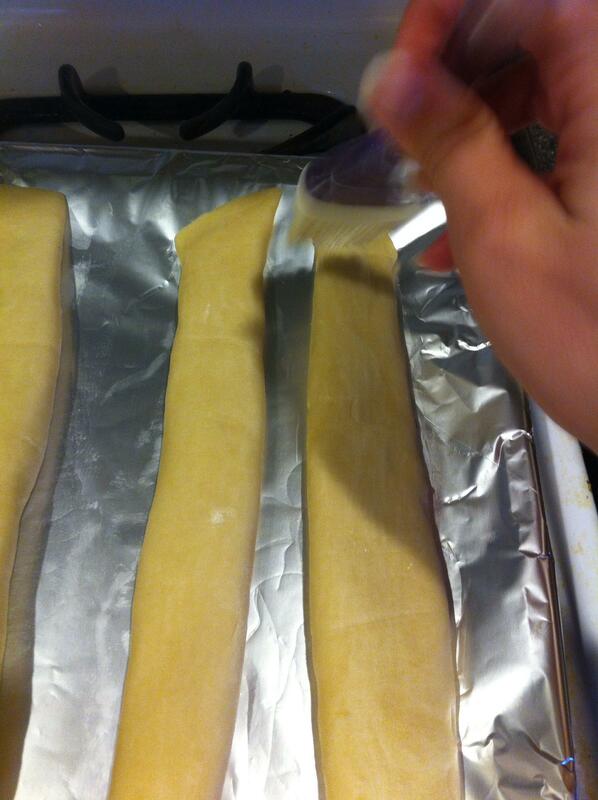 Put a little water on the opposite edge to seal it. 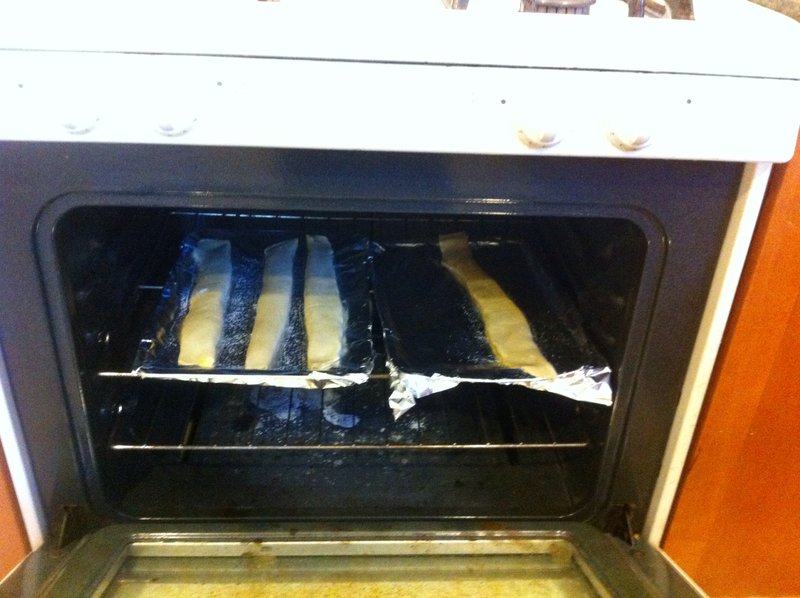 Put on an ungreased cookie sheet, with seem side down. At this point you can put it in the frig to chill it or bake it. 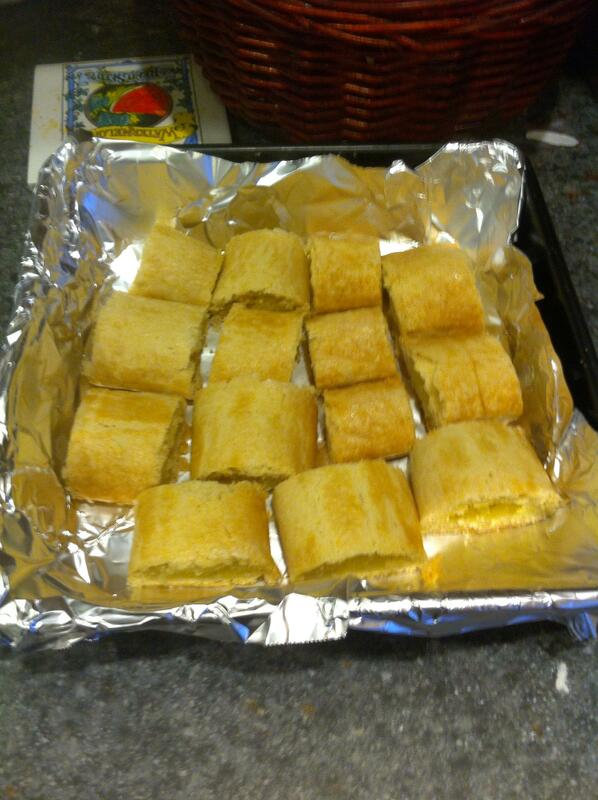 Before baking, beat the remaining egg white a little and then brush on the tops of the banket. Then sprinkle with a little sugar. Bake at 350. If it has been chilled bake for 30-35 minutes until light brown. If not chilled, bake 25-30 minutes. Each oven bakes differently so you will need to watch it and decide how long to do it. ← Pumpkin bars – with cream cheese frosting.